Start Planning Your Weekend Now! For Arians to get fully rested a simple retreat won’t do. You need to give vent to the energy you’ve been curbing inside and do something that requires effort and gives you an adrenaline rush. Consider snowboarding or spring skiing – there is still time! While some Arian natives may prefer group activities to show off their leadership skills, others may be sure that ‘active’ does not equal ‘crowded’. Away from responsibilities and people bustling around!  Some quality time with their own self will work wonders for busy-scheduled Aries. Top long-distance relationship tips for Aries.